Yamaha Motor and Yanmar Agree to Alliance regarding U.S. ROV Business - News Releases | Yamaha Motor Co., Ltd.
Yamaha Motor Co., Ltd. (hereafter “Yamaha”) and Yanmar Co., Ltd. (hereafter “Yanmar”) today announced that they have agreed to a business alliance for the U.S. ROV (Recreational Off-Highway Vehicle) business. 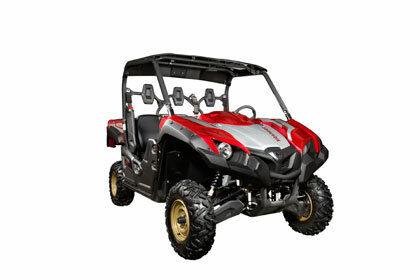 The companies will conclude a contract by the end of the year for the OEM supply of Yamaha’s multi-purpose VIKING and VIKING VI (both Yamaha model names) ROV models to Yanmar from December 2016, and for Yanmar to sell these products under the Yanmar brand name from January 2017 utilizing its farmer-oriented dealer network in the U.S. The aim of this business alliance is to expand sales in the growing U.S. ROV market by leveraging the strengths of the two companies, namely Yamaha’s technical capabilities and manufacturing know-how, and Yanmar’s farmer-oriented dealer network in the U.S. The two companies share the same values of creating and developing markets through Monozukuri (engineering, manufacturing and marketing), and have previously worked together in the fields of industrial-use unmanned helicopters, generators, and snow blowers. The demand for ROVs in the U.S. market has been increasing in recent years, and they are used for a variety of applications, from practical work such as agriculture and dairy farming, to leisure-oriented purposes. 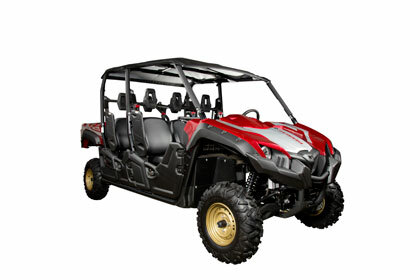 To meet the needs of this market, in 2013 Yamaha launched the VIKING, a 3-seater multi-purpose model which provides practicality, easy handling, and comfort, and in 2014 launched the VIKING VI, a 6-seater model which delivers high-grade driving performance and comfort for a large number of passengers. Yanmar has for many years supplied just diesel engines and drive units to the U.S. agricultural transportation vehicle (including ROVs) market. Through this business alliance, Yanmar is taking the next step towards entering the ROV product sales field. Outline of Yamaha Motor Co., Ltd.
Company Name ： Yamaha Motor Co., Ltd.
Business Activities ： Manufacturing and sale of motorcycles, scooters, electrically power assisted bicycles, boats, water vehicles, pools, Japanese-style boats, fishing boats, outboard motors, all-terrain vehicles, recreational off-highway vehicles (ROVs), engines for racing carts, golf cars, general-purpose engines, generators, water pumps, snowmobiles, compact snow blowers, automobile engines, surface mounters, industrial robots, industrial-use unmanned helicopters, electrical power units for wheelchairs, helmets for road use, etc. Outline of Yanmar Co., Ltd.
Company Name ： Yanmar Co., Ltd.
Research, development, manufacturing, and sale of small engines, large engines, agricultural machinery and facilities, construction equipment, energy systems, marine, machine tools and components, etc.